Bushwick's trash talk: highlights from the public forum. A Bushwick elected official was caught talking trash earlier this week. 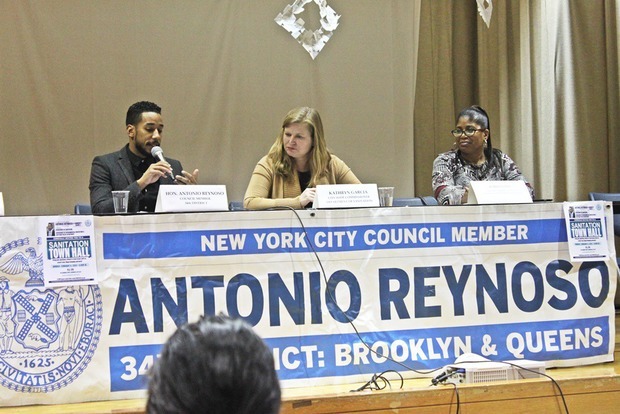 Council Member Antonio Reynoso partnered with the Environmental Protection, Transportation, and Sanitation Committee under Community Board 4 to host a sanitation town hall on Monday night. The town hall was organized to allow residents the opportunity to ask about issues they are facing in the neighborhood. 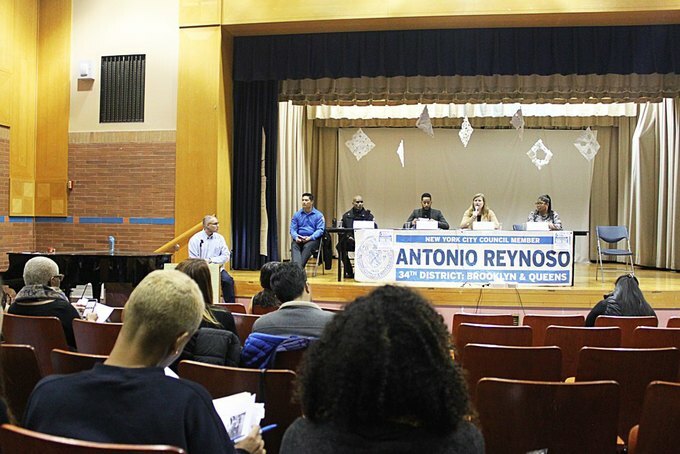 Department of Sanitation (DSNY) Commissioner Kathryn Garcia, representatives from the New York Police Department (NYPD) and the Department of Environmental Protection (DEP) were present to address resident concerns. According to Commissioner Garcia, Bushwick had a 90 percent cleanliness rating during the last fiscal year, a slightly lower rating than the year before. Council Member Reynoso believes the score should be closer to 60 percent given the sidewalk conditions of some parts of Bushwick. Public littering and illegal dumping is still a big problem and both the city council and DSNY encourage residents to be proactive. DSNY offers a 50 percent pay incentive to anyone who reports perpetrators of illegal dumping. Reckless vehicle drivers often collide with and fatally injure cyclists on the streets. According to the NYPD representative, reports of reckless driving happen at certain times, mainly close to midnight or early in the morning. Strategy from law enforcement has been to patrol areas during these specific hours. Driving violations by private sanitation trucks have also been reported. Council Member Reynoso has proposed a Waste Zoning Legislation law that would allow the commissioner to cut up the city into different zones. This would help make trash routes more efficient and reduce hazardous driving from the 90 private carters collecting city trash. “We don’t need someone in the North Bronx collecting trash from Coney Island… It doesn’t make any sense,” the councilman said. He supports policing drivers but notes the brunt that private sanitation workers often bear. He believes that private sanitation companies are the ones responsible, often demanding drivers to meet an impossible daily quota. “People who take these jobs are the most vulnerable people. People who have records, people who don’t speak the language or are immigrants, and we gotta protect them, too,” he said. Food scraps and yard waste make up a third of the neighborhood’s trash and costs $1 million to send to a landfill. 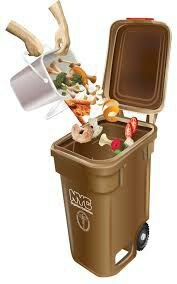 Only 10 out of 18 Brooklyn community boards receive organics collection service right now, but Councilman Reynoso hopes that Bushwick will also receive the service in the near future. Commissioner Garcia could not give specifics on when Bushwick could get an organics collection program. She said that the department has been in budget talks and is working with associations to bring the service to the neighborhood. Carlos Martinez and Martha Bayona, both on the Community Education Council (CEC) and residents of Bushwick, left the auditorium of PS 376 satisfied with the discussions. 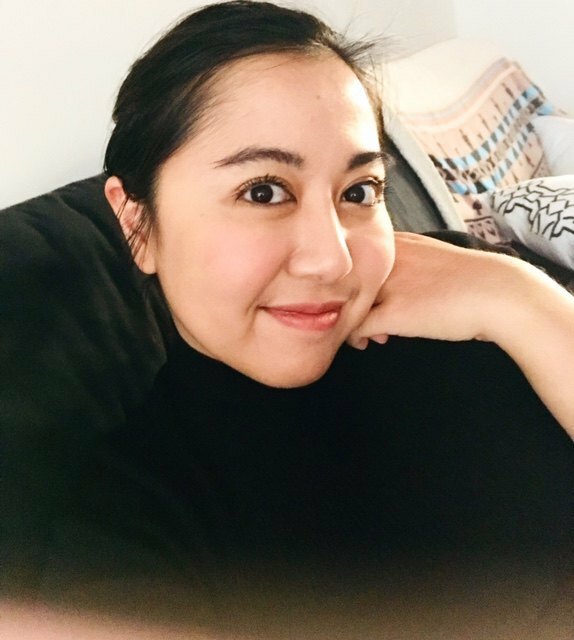 Bayona hopes to see improvements on the issues that were covered. DSNY is expected to receive a preliminary budget from the mayor’s office on Thursday. Residents who were unable to make the town hall meeting and still have questions or complaints can contact the Community Board 4 office at bk04@cb.nyc.gov or (718) 628-8400. Cover image courtesy of author.